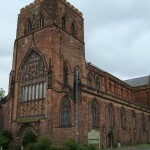 The fictional character, Cadfael, is a Welsh Benedictine monk living at Shrewsbury Abbey in the first half of the 12th century.The historically accurate stories are set between about 1135 and about 1145. 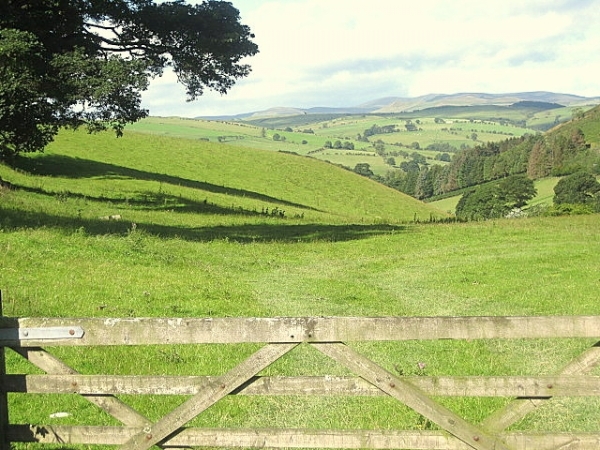 We offer two tours where we drive through countryside largely unchanged since Cadfael’s days and it is easy to transport yourself back 800 years to these times. A Morbid Taste for Bones; Raven in the Foregate, Leper of St. Giles, Heretic’s Apprentice, Monk’s Hood, Dead Man’s Ransom; & Summer of the Danes. 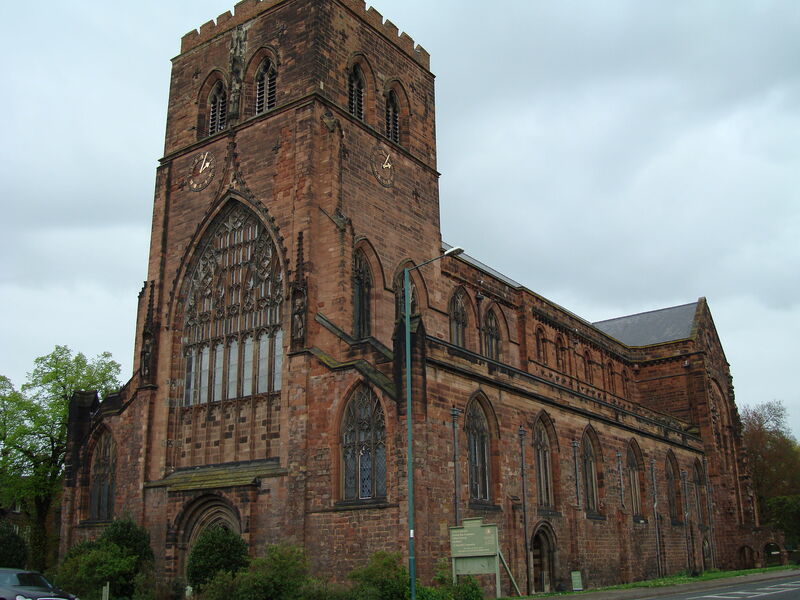 Much of this route is that taken by the procession of St.Winifred’s bones on their journey to Shrewsbury Abbey, and starts with a short visit to Cadfael’s ‘Home’, Shrewsbury Abbey, where we will tell you about the real history and how well it is reflected in the Chronicles. 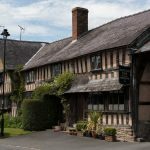 We will point out thelikely locations of Wat’s Tavern, Judith Perle’s House (Rose Rent), Cadfael’s workshop, the Refectory pulpit and the start of the Abbey Foregate (Raven in the Foregate, and many others). We travel along the Foregate passing the tallest Doric column in the World before pausing briefly at St. Giles’ Church and leaving Shrewsbury on our way to Wales. 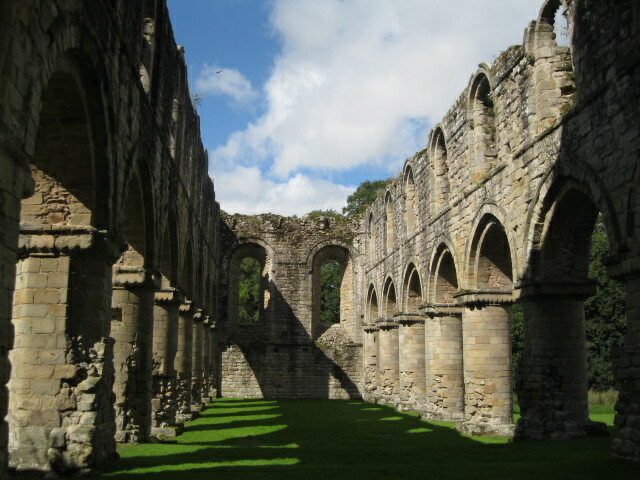 We will pass one of the possible locations of Godric’s Ford Nunnery and follow Thomas Telford’s 19th century Holyhead Road until we turn to Beringar’s home at Maesbury. 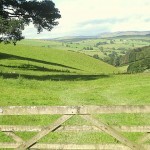 We next start climbing from the flat agricultural lands of Shropshire into the foothills of the Berwyn Hills. 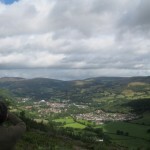 We pass near the Commote of Llansilin and the Abbey’s sheepfolds at Rhydycroesau and climb through the hills on narrow roads before descending into Owain Glyndwr’s stronghold of Tregeiriog. 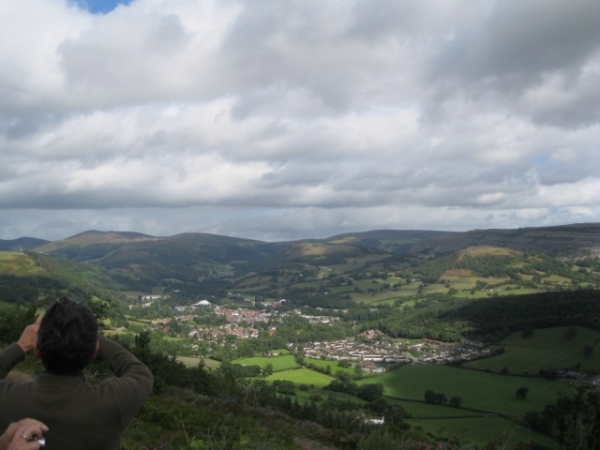 Following the River Ceriog we climb steeply through the Berwyn Hills with outstanding views on both sides before descending into the beautiful Welsh market town of Llangollen. 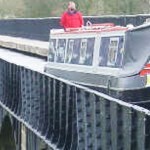 – another Thomas Telford creation. On our return to Shrewsbury we stop at Whittington Castle which dates back to before the Norman Conquest in 1066 and is typical of fortifications along the Welsh/ English Border. Tour 1 Addition. The Summer of the Danes; Morbid Taste for Bones. 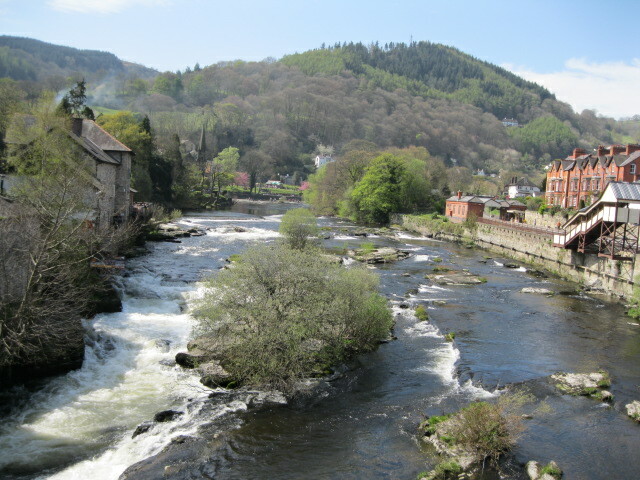 This addition involves leaving the Tour 1 route at Llangollen and driving through the mountains of Snowdonia towards the Menai Strait between Anglesey and mainland Wales to visit the place where the Danes landed and made their camp. We will stay overnight in Caernarfon with a chance to see the spectacular Castle, where Prince Charles was inaugurated as Prince of Wales. 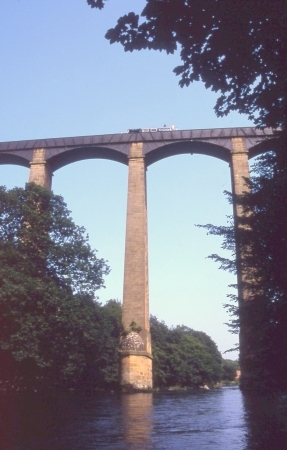 The fo llowing morning, we drive along the Strait passing Thomas Telford’s magnificent Menai Bridge and Robert Stephenson’s Britannia Bridge, to Owain Gwynedd’s camp at ‘Aber’ . 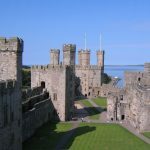 We continue along the scenic coastline until we reach Conwy with its spectacular 13th century castle, and we turn inland and follow the River Conwy to Cadfael’s birthplace at Trfriw. 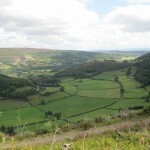 We will slowly drive through here before going through the narrow roads to St. Winifred’s grave at Gwytherin. 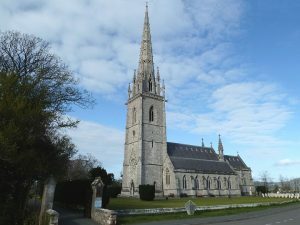 We will have a short 20-minute stroll around St Winifred’s churchyard before driving back towards the coastline at St. Asaph where we will be able to see the lovely white marble church of St. Margaret. We will take a break for lunch before continuing to St. Winifred’s Well at Holywell where we will stop to take in all this shrine has to offer. Sanctuary Sparrow; Rose Rent; Potter’s Field; Monk’s Hood; Hermit of Eyton Forest; Raven in the Foregate; Virgin in the Ice; & Leper of St. Giles. 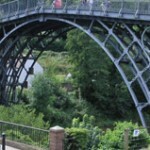 Ironbridge Gorge and stop to visit the World’s first iron bridge. We pass through Wenlock and St.Milburga’s Church before arriving at Bridgnorth (Brigge). 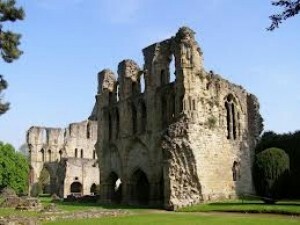 The drive continues into ‘Virgin in the Ice’ country and follow the route of Sister Hilaria and the children took to Bromfield Priory. 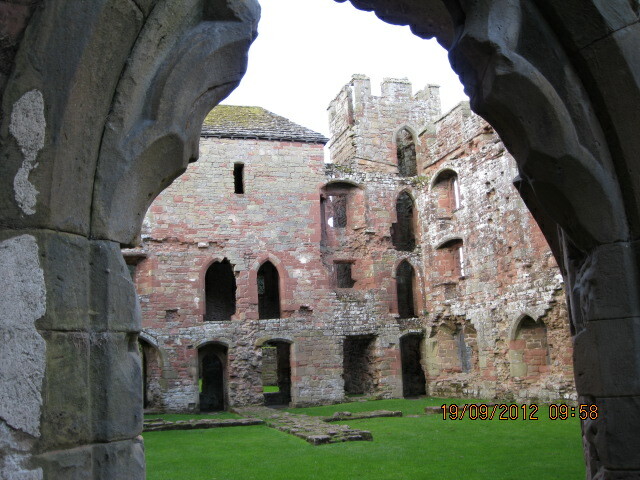 We usually stop in Ludlow for lunch and then make a stop at Bromfield Priory. 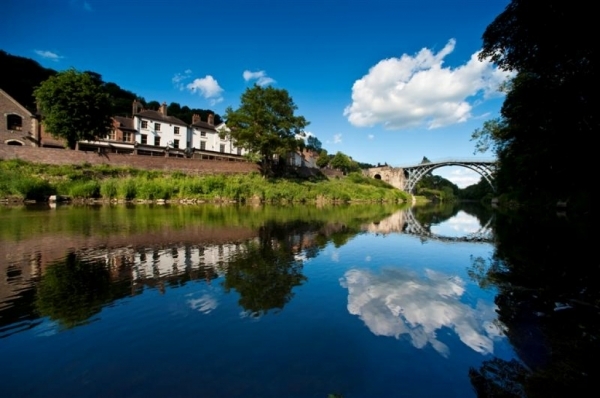 Our route now takes us back to Shrewsbury through very scenic countryside and a stop at a likely site of Godric’s Ford before passing St. Giles’ Church before rejoining the Abbey Foregate. 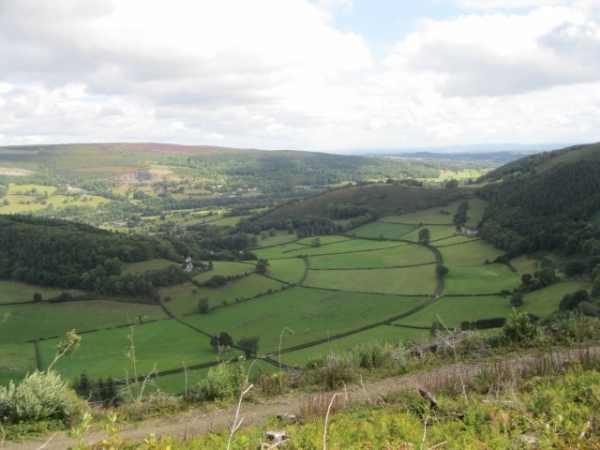 This tour takes in many of the places from 7 of the Chronicles and allows us to ‘step back’ in time through countryside largely unchanged since Cadfael’s time. 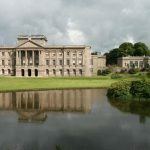 We also visit the ancestral home of a signatory of the ‘Declaration of American Independence’ and his descendant who was a leader in the American Civil War. We also see the first ‘Black & White’ house in the UK and find out how Bronze Age man found his way around the country.